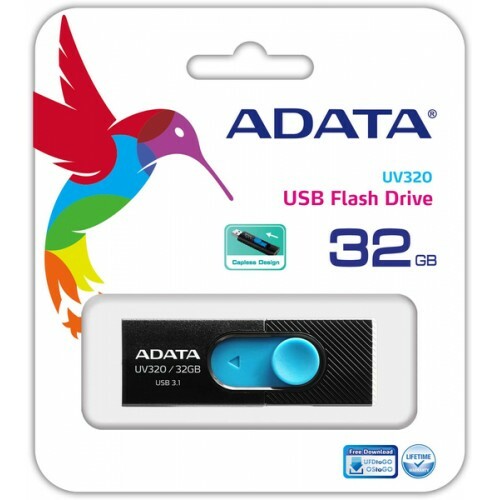 The UV320 features a sliding USB connector, which smoothly extends from the drive at the push of a thumb. The capless design eliminates the hassle of lost drive caps. It comes with a high speed USB 3.1 interface and provides diverse capacities ranging from 16GB to 128GB, enabling you to share faster and store more. Available in two color combinations – black/blue and white/green to express your personal style. Listing the devices you can use the UV320 would take forever. PCs, tablets, smart TVs, in-car systems, game consoles, home entertainment systems, and many more.